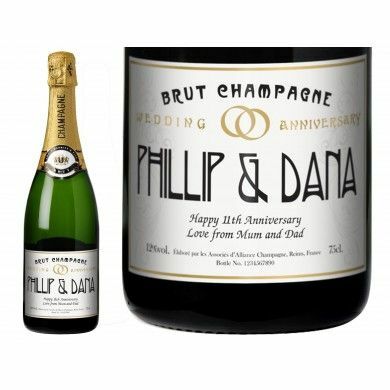 Give them an anniversary gift that will be appreciated, retained and remembered far into the future. 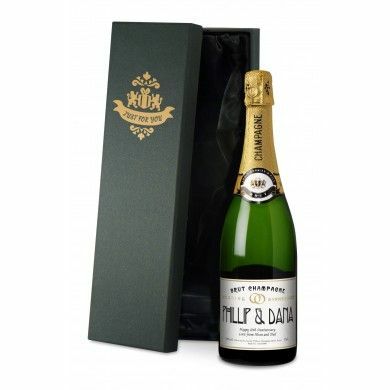 This personalised bottle of fine champagne includes a special anniversary label with the couple's name and your congratulatory message printed on it. The bottle label itself is produced using special water and scratch resistant materials to maintain its appearance and use as a keepsake. Presented in your choice of a silk-lined black gift box or a gold gift box.